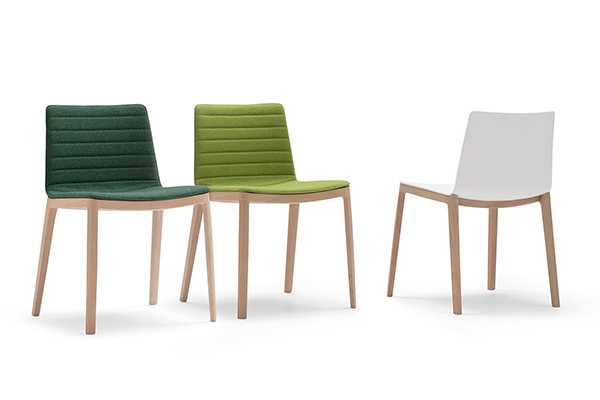 The Flex Chair designed by Piergiorgio Cazzaniga for Andreu World is now available in sustainable solid wood! Functional, versatile and multi-purpose. 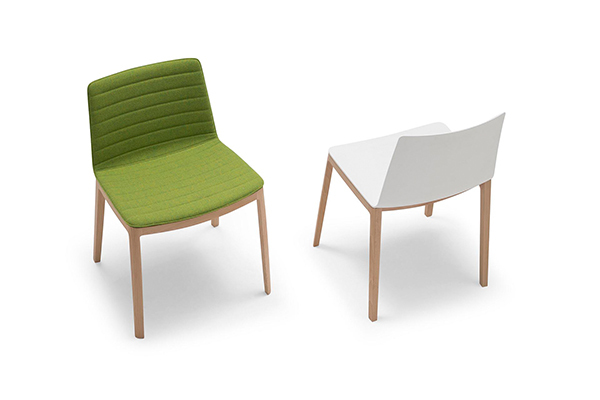 The extensive Flex chair collection is enriched with a set of new features to highlight its great versatility. These new features include a new four wooden leg base, that merges thermo-polymer and upholstered shells with the warmth of wood. Which would you choose?